Sealander If you like road trips and chilling on a boat this is made for you. 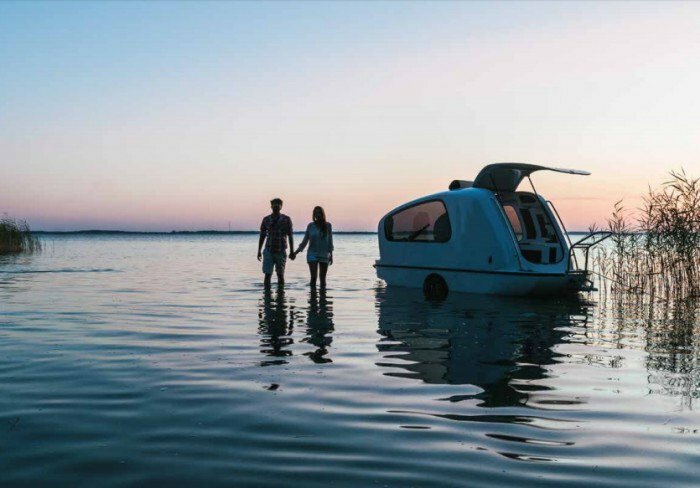 This awesome lightweight camper lets you travel on land and on water. The genius Sealander was created by a german firm to provide the best for lovers of caravanning and boating. EarthRoamer This world leading luxury expedition vehicle. Hand built in Colorado, with high quality materials, EarthRoamer is the best combination between comfort like in a luxury apartment on wheels and tough wild adventures. 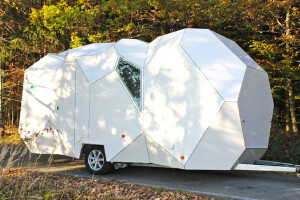 Merzeller You have probably never seen this weird vehicle, because it’s still a concept, but it will probably happen soon enough. And then, it will directly caught your eye. Merzeller has many faceted surfaces making its design very original. 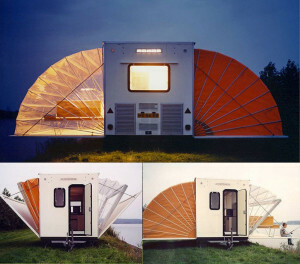 But it is actually a customizable and comfortable modern caravan. Hope you enjoyed our selection of Best Designed and Most Innovative RVs! You can also read our articles « Plan a motorhome trip step by step », « Motorhome maintenance checklist » and « Top 5 accessories for your motorhome trip » on our blog.